Today, on this last day of 2012, I’d like to take a moment to reflect on a few of the successes we’ve had here in Halton, and what we resolve to do in 2013. Regional Council and staff have worked very hard throughout 2012 to provide the best programs and services possible, while bearing in mind the ultimate impact on the residents and taxpayers of Halton. We are very proud of the fact that we were again able to provide a zero per cent tax increase for 2013. This brings the seven-year average tax increase to zero per cent for Regional services. This is one of the best records in all of Canada. In 2013, we will develop Halton’s next budget with the same level of respect for the taxpayer in mind. I expect Regional Council will maintain our position to deliver a budget that delivers any tax increase at or below the rate of inflation, while maintaining service levels in a growing community and compensating for provincial funding shortfalls. Residents consistently tell us that quality infrastructure is important to quality of life. In 2012, Halton Region delivered infrastructure improvements including improving roads through widening, resurfacing or new construction on James Snow Parkway, Steeles Avenue, Dundas Street, Winston Churchill Boulevard, and Regional Road 25, and the construction of new Sixteen Mile Creek bridge on Dundas Street in Oakville. Halton also continued to strengthen our water supply system through the commissioning of a new Georgetown water tower, building a new water booster pumping station in North Oakville, completing upgrades to water purifications plants in Burlington and Oakville, and construction of new wastewater pumping stations in North Oakville and Halton Hills. The approved 2013 capital budget for roads, water and wastewater is $921 million. In 2013, Regional Council is committed to continuing to ensure Halton has the right infrastructure in the right place at the right time. Regional Council has a strong track record of advocating to other levels of government on behalf of Halton residents. 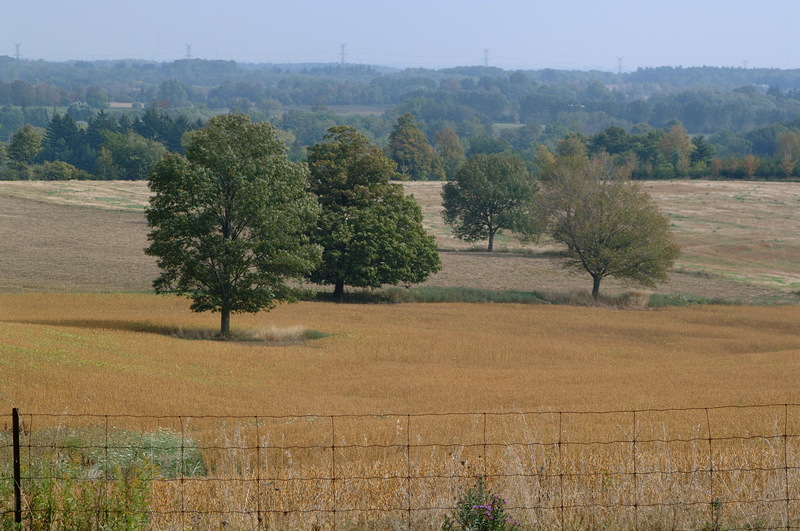 In 2012, the two very important issues that come to mind are advocating to the provincial government to ensure that growth pays for itself, and advocating to protect our natural environment and farmlands from proposed provincial highways, including the GTA West corridor highway that would impact farm land in Halton Hills, and the Niagara to GTA highway that would cut through the Niagara escarpment in Burlington. In October, I joined the City of Burlington and the Stop the Escarpment Highway Coalition to host a community meeting about the proposed NGTA highway. Following the community meeting, Mayor Goldring and I also met with the Minister of Transportation and Infrastructure to express the community’s opposition and concerns regarding the proposed Provincial highway. In 2013, Council will continue to ensure the voice of Halton residents is heard by other levels of government. We will continue to work with all levels of government to ensure Halton is treated fairly. We will continue to ask for predictable, stable funding for infrastructure and housing. We will continue to advocate that growth should pay for growth, and not burden current property taxpayers. And we will continue to advocate that our natural landscapes and farmland is maintained in the face of proposed Provincial highways. We will continue to work with all our MPPs and MPs and party leaders to help them understand the issues that are important to Halton residents. Council’s and staff’s hard work on these important matters is a big part of the reason 98 per cent of residents indicated they are satisfied with services provided by the Region, which is a significant 22 per cent higher than the average across Ontario. By continuing to focus on our Citizens’ Priorities 2011-2014 Action Plan, we will ensure that Halton remains a great place to live, work, raise a family and retire, in 2013 and beyond. Please accept my sincere wishes to you and your family, for a happy, healthy and prosperous 2013! To view a larger image, please visit http://www.niagara-gta.com. 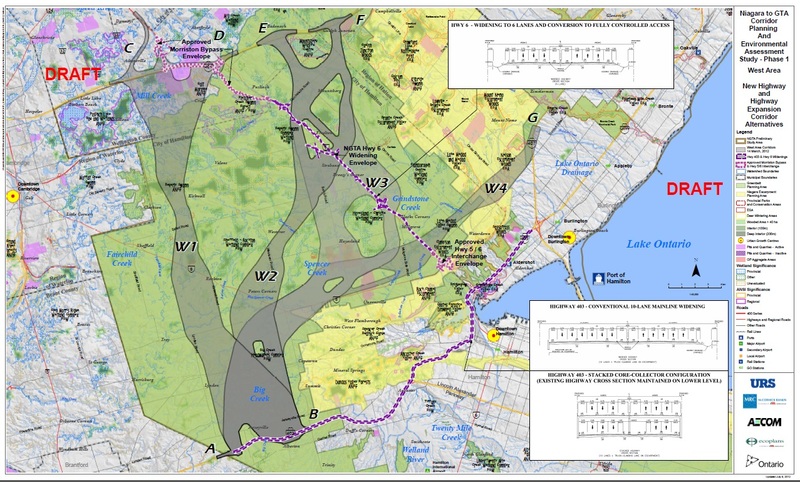 The Provincial Ministry of Transportation has been conducting the Niagara to Greater Toronto Area (NGTA) Corridor Planning and Environmental Assessment (EA) Study for the past number of years. The purpose of the study was to look at all transportation options (including rail, road, transit and marine) that might improve transportation between Niagara and the GTA. One of the options that is being considered as part of the study is the construction of a new Provincial highway that would cut across the escarpment in Burlington. For almost 10 years, Halton Region and the City of Burlington have been advocating against Provincial plans to build a new highway that would cut through the Niagara Escarpment. In fact, in June 2011, Regional Council unanimously passed a resolution to advise the Province that we are opposed to a highway cutting though the Niagara Escarpment. The Niagara Escarpment is the most significant natural landform in Ontario. It includes more than 100 sites of geologic significance, is the habitat for 300 species of birds, 53 mammals, 36 reptiles and amphibians and 90 kinds of fish; more than 1500 species of vascular plants, 50 ferns & 37 species of wild orchids. A highway would destroy our natural environment and rural quality of life. It is imperative to our community that we protect such a significant resource and landform. Together, we can make our unified voices heard. Halton is home to an active and vibrant farming industry. With more and more people choosing to buy and eat locally produced food, it’s more important than ever to protect our made-in-Halton food sources. With some of the best agricultural land in the Greater Toronto Area, it’s critical that we protect it – not pave over it. The proposed Provincial highway through Burlington would not only decimate our prime agricultural resource, it would also devastate the Niagara Escarpment and the Ontario Greenbelt. As the most significant natural landform in Ontario, the Niagara Escarpment is one of only 12 UNESCO World Biosphere Reserves in all of Canada. This designation puts the Escarpment in the same class as the Galapagos Islands and the Serengetti Plains in Africa. 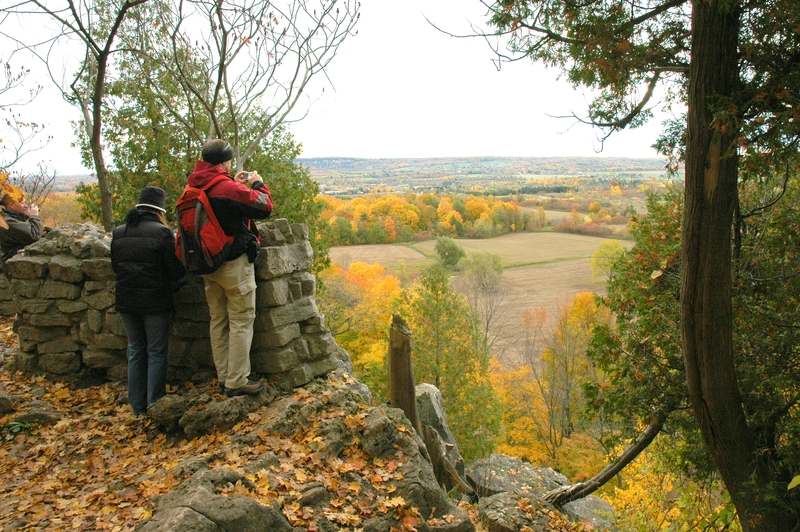 With more than 2,000 plant and animal species calling the Escarpment home, it’s a tourism attraction for people across the Province. And with six million people living within 90 minutes of the Escarpment, it not only contributes to the natural beauty of Halton, but financially as well. Recreation in and around the area contributes more than $100 million every year to local and regional economies from the tourism, winery and culinary industries it supports. We need to protect our environmentally sensitive land and farmland from becoming a new highway. We need to preserve this area so it can filter pollution from our air; to retain our rural quality of life; so our farmland can continue to feed us; and so that plants and animals can stay in their natural habitat. But we can’t do it alone. We know that protecting our environment and coming up with effective transportation solutions is an enormous task that can only truly succeed with the help of many partnerships and a lot of hard work. Let’s protect our valuable rural resources for today and tomorrow to ensure Halton remains a great place to live, work, raise a family and retire. For more information, please dial 311 or visit www.halton.ca/ngta.